Jidaigeki, otherwise known in the west as Samurai films, have often been compared to Westerns in the United States. While at face value they couldn’t look any different, the characters and story are usually almost indistinguishable. These films are so relatable that some are remakes of each other. One of the greatest westerns of all time, The Magnificent Seven (1960), is a remake of the legendary Akira Kurosawa’s Seven Samurai. Seven Samurai happens to be my number eight favorite film ever. In a reverse example, Clint Eastwood’s Unforgiven (my third favorite film ever), was remade in 2013 under the same name this time starring Ken Watanabe. What makes these two genres that seem so different at first so like-minded? That goes back to when I made the point about the characters and story. Most cowboys in westerns are portrayed as “lone wolfs”, and when it comes to gunmanship their skills are unmatched to the average bunch who are usually looking for a lot of loot and some tail. They often keep to themselves, don’t speak unless spoken to, don’t brag about their skills, and don’t seem to have much money. 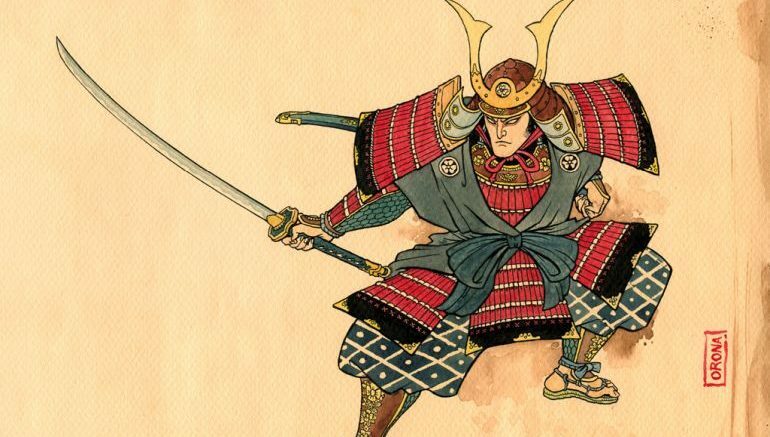 When it comes to samurai, the idea is practically identical, particularly when it comes to Ronin (samurai without a master). They’ll never boast about their swordsmanship, can take down an entire clan or group of bandits, as well as the other characteristics mentioned before. What’s very enjoyable to point out is the similarities between two separate scenes. How many times have you seen a cowboy walk into a saloon and ask for whiskey? It’s about as many times as a samurai walks into a restaurant and asks for sake. These film makers have influenced each other over the decades, especially when it comes to Akira Kurosawa. He is considered to be one of the greatest directors of all time. While he is known for his samurai work he has also dabbled successfully in other genres as well. Some of Hollywood’s best known and well respected directors cite Kurosawa as a major influence. Here is a handful recognizable names; Steven Spielberg, Robert Altman, Francis Ford Coppola, Martin Scorsese, and George Lucas. The scene where Luke discovers his aunt and uncle in Star Wars is an homage to the burning of the farm in The Searchers. It’s no secret Lucas’s Star Wars is influenced by both westerns and samurai flicks. Look at the famous characters Han Solo, Obi-Wan Kenobi, Luke Skywalker, and Princess Leia. These are all archetypes from the two film genres you’ve been reading about. Many scenes in the first half of A New Hope could have come straight out of a western if it didn’t have lightsabers, laser guns, and spaceships. What makes it more of a samurai film though is the overall plot, which is heavily influenced by Kurosawa’s The Hidden Fortress. Many critics have pointed out blatant similarities between the two films, let’s go through the list. - Two offbeat characters are separated after a battle, only to be reunited by being captured. - An evil empire that seems unbeatable has taken over and it’s up to a small band to fight back. - The princess is the one of the central plot elements, she needs to be protected due to her knowledge and royalty. - A wise and formidable warrior is a part of the group and gets them out of trouble throughout the film. Star Wars (above) and The Hidden Fortress (below). My point that I want to get across is how important Jidaigeki is when it comes to the influence it has on American films. If it weren’t for these stories we may never have had some of the greatest films ever, as well as arguably the greatest film franchise ever. Samurai films, in my opinion, are necessary if you ever want to be taken seriously as someone who loves to watch and criticize movies. It undeniable how great they are cinematically and culturally. As this blog comes to a close, here are some of my personal recommendations on which ones to watch. One more piece of information you might find intriguing. GZA, one of the founding members of Wu-Tang Clan, edited clips from Shogun Assassin in his landmark album Liquid Swords. The album is heavily influenced by samurai and other eastern martial arts film. If you love old school hip-hop, it’s absolutely worth a listen. If you happen to watch any of the films listed above after reading this, be sure to tweet me what you thought! My handle is @lessthanconnor, and I hope this blog finds you well and informed.